Candi Borobudur is a ninth-century Buddhist temple that has gained the status of Indonesia’s most visited tourist attraction, and for good reason — the painstakingly restored complex is breathtaking. Built during the Sailendra dynasty, this Mahayana Buddhist temple lay in ruins for many years following the decline of Hinduism in the 14th century before the British ruler of Java Sir Thomas Stamford Raffles sparked its global popularity in the early 1800s. 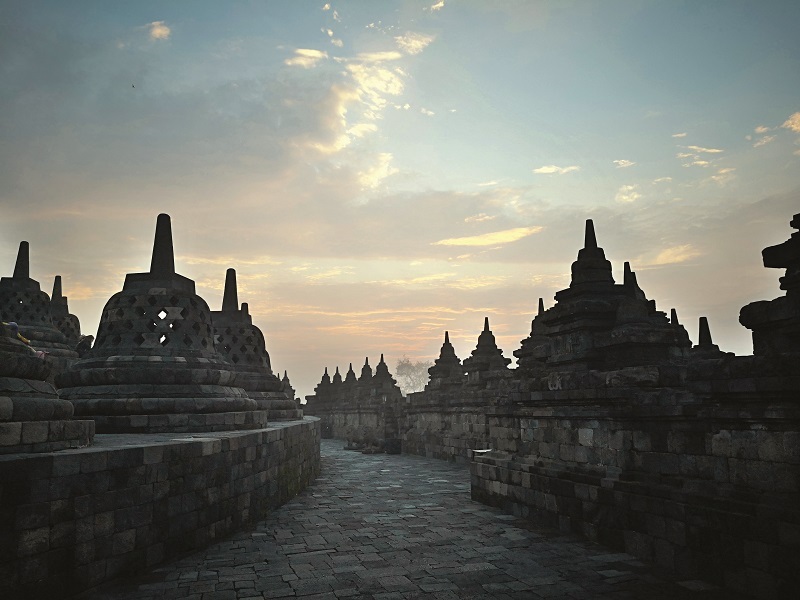 Borobudur has since been through several restoration projects, the largest of which was undertaken from 1975 to 1982. Situated between twin volcanoes and two rivers, the temple consists of nine stacked platforms, 2,672 relief panels and 504 Buddha statues. Visitors to Borobudur have more than just the temple to keep them occupied, as this region is home to a number of adventurous activities. After all, beautiful as it is, the temple complex requires no more than a day to fully explore. 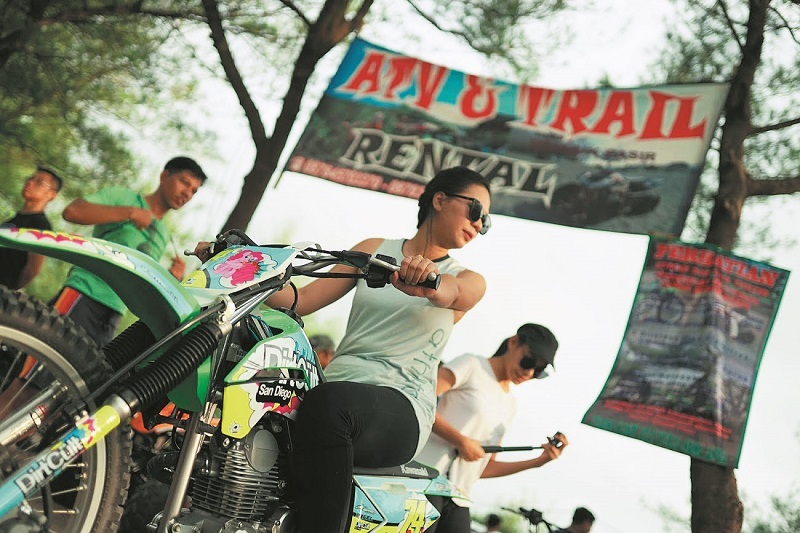 As part of its “Hungry for Adventure” series, Mercedes-Benz Indonesia planned a drive across Central Java for a group of us to experience what the province — affectionately referred to as JaTeng, a portmanteau of Jawa Tengah — has to offer. 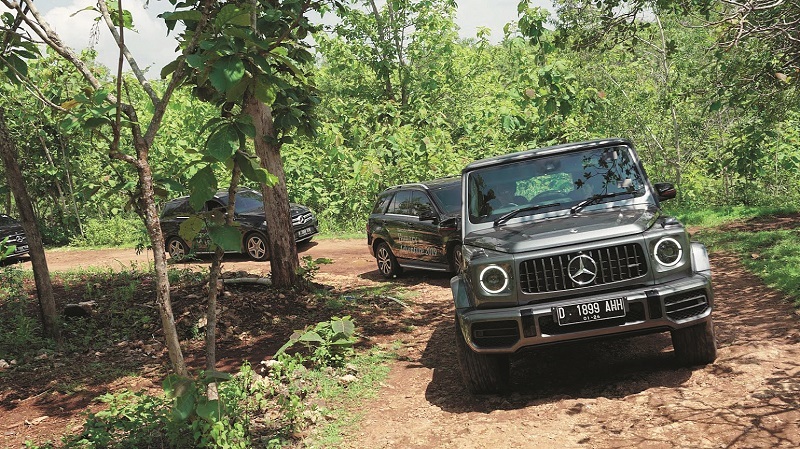 In between scheduled stops at the Curug Lawe waterfalls, Goa Jomblang, Pantai Parangtritis and, of course, Candi Borobudur, we put the German carmaker’s suite of premium sport utility vehicles (SUVs) to the test, starting with the GLA to the iconic G-Class, which celebrates its 40th year of production this year. Mercedes-Benz’s SUVs have been particularly successful in recent times as global trends have overwhelmingly leaned towards these crossover vehicles, which offer practicality and luxury in a single product. Our three-day journey began in Central Java’s capital city of Semarang, and traced a route passing small towns, lush paddy fields and picturesque villages before concluding in artsy and refined Jogjakarta, the only Indonesian royal city still ruled by a monarchy. However, Indonesia’s uneven snakes of asphalt and its vastly different road rules take some getting used to, compared with the infrastructure we have at home. Motorcycles, we were told, are especially notorious for indicating the complete opposite direction that they intend to pursue. Being part of a convoy did make it a touch easier to enjoy both the cars and the scenery without getting too preoccupied about navigation, and we are happy to report zero accidents and only a few, and mercifully short, unintentional detours. 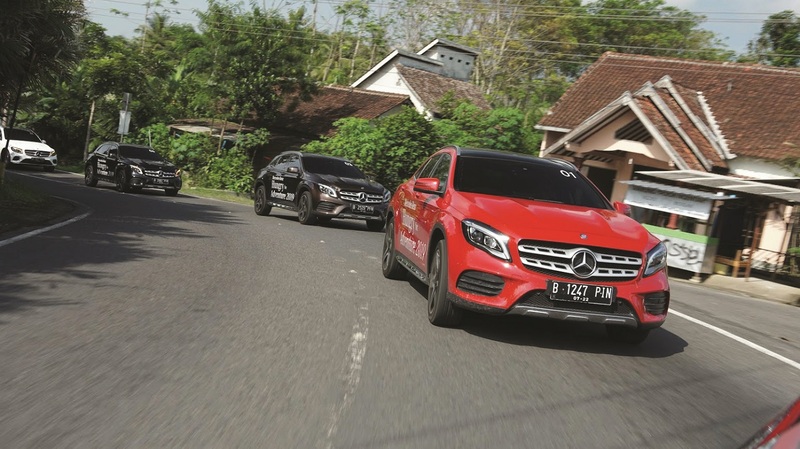 The GLA 200, the baby of the SUV family, is a nippy thing best-suited for Indonesian roads because of its easy handling and power. Our bags — thankfully, my co-driver and I pack light — just about fit into the boot space, although I cannot imagine fitting too much into it after that. It is a small trade-off, though, because the actual drive experience left little to complain about. The first leg of the trip was in search of lunch, and then to the Curug Lawe waterfall. A steep drive on a narrow, unpaved road was definitely not for the faint-hearted, and the car’s stability provided great comfort. We made it with relative ease to a meeting area where a 30-minute hike separated us from the majestic falls. A thundering rainstorm held back half of the group, while a courageous party braved the elements — their prize, a gorgeous view of this remote waterfall well. From our base at the colonial-inspired Plataran Heritage Borobudor hotel, it was a 10-minute drive to the temple complex — a boon, when the call time is 4am — where another 10-minute walk put us at the foot of the mighty complex. Sunrise over Borobudur is a sublime, spiritual experience, and we had enough time to explore before the driving continued. Here is a pro tip — go all the way up and enjoy the sunrise, then slowly make your way past each level on the descent. Our next drive was the GLC 200 AMG Line, which quickly became my favourite — not too big nor too small, paraphrasing Goldilocks a little, it was just right. The physical size of the car seemed perfect, though — its two-litre engine gave it just enough pep to undertake some serious overtaking (my heart has not completely recovered from this) and is capable of cruising with consummate ease. If you are shopping for an SUV version of the C-Class in Malaysia though, it is the GLC 43 4MATIC, which comes with an all-wheel drive system. The path leading to the entrance of Goa Jomblang was so rocky that I was not sure if the GLC could handle it, but it did so quite remarkably — a support team that followed us in a proper four-wheel drive vehicle could not have had quite as comfortable a ride as we did, and certainly not with the music at that volume. We Will Rock You, Freddie Mercury crooned, and so did the car to that stone-strewn road. 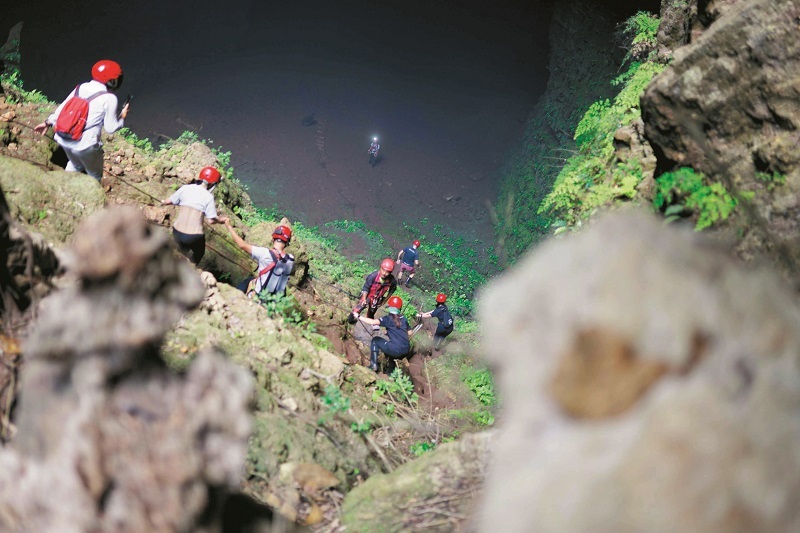 The caves themselves are worth the trek — you are lowered down by pulleys, but the base of the cave (formed after the cave roof collapsed many years ago) is home to lush greenery that benefits from the perfect balance of sunlight and humidity. The angle through which the sun’s rays permeate the caves is the main reason people come here, and true enough, the scene looks like it is illuminated by the heavens. Pantai Parangtritis, a popular beach shielded from the elements by the majestic Gembirawati cliffs, provides for a more relaxed experience. The sand dunes in the area are perfect for activities like all-terrain-vehicle (ATV) rides and sand surfing, which involves sliding down said dunes on what looks like a smaller version of a surfboard. It looked much easier than it was, and we spent as much time tumbling into the sand as we did on the boards themselves. Our last day put us behind the wheels of the GLE 400 AMG Line, the marque’s full-sized luxury SUV. The three-litre, twin turbo V6 engine was certainly powerful but there was not enough highway driving to test its credentials in that regard. In the heavy stop-and-go traffic heading towards Jogjakarta, the car was agile, although in my personal opinion, not as stable or responsive as the GLC. However, it was notably more spacious as well as luxurious. I was only able to make it to the backseat of the seven-seater GLS 400 AMG Line, but apparently that was the best seat in the house. Ultra-luxe with superior finishing, the marque’s flagship SUV exemplifies the qualities that have made all its cars so desirable — comfort, luxury and raw power. The G-Class also remained beyond reach, but the drive experience of that particular vehicle requires no review — it is so iconic that it sells itself. With its muscular proportions and imposing appearance, the G-Class was the car that grabbed all the attention in JaTeng across all three days. I have always been a fan of SUVs because of their elevation but, traditionally, they have not been able to provide drivers with the convenience and comfort of sedans and limousines. All that is changing, though, as carmakers are embracing the idea that sturdy workhorses can also be comfortable and luxurious. Appealing to our sense of adventure as well as our desire to sit in a nice car, Mercedes-Benz’s crop of SUVs really tick all the right boxes — you just have to pick the one that is best for you.